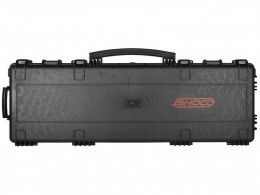 This extremely strong ABS custom case is padded with foam so your compound bow will arrive safely everywhere. The case is so strong you can even stand on it. The two wheels on one side allow you to carry even your heaviest equipment everywhere with ease.